HotelQuickly dubbed as the pioneering last minute hotel booking app officially launches its operations in the Philippines, March 6, 2015. The launching of the app is part of the company's response to travellers demand in South Eact Asia. More than 5,000 hotel partners across Asia-Pacific are part of the free-for-all app which, conveniently enables its users to enjoy unparalleled savings averaging 28% from published rates. This is indeed very useful since it not only makes bookings readily accessible plus you can also save from your bookings. “Since the app’s launch in March 2013, we are thrilled to see the Philippines becoming one of HotelQuickly’s most promising markets," says HotelQuickly’s Co-Founder & CSO Raphael Cohen. 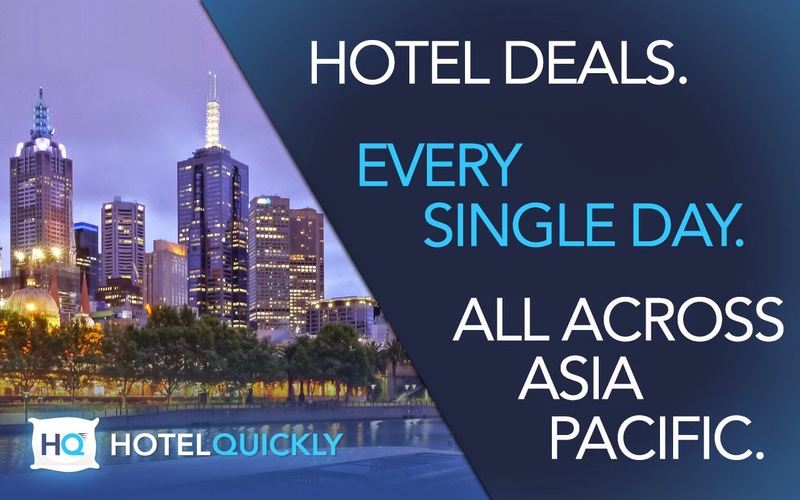 HotelQuickly is designed to help travelers find the best deals on last-minute hotel reservations, the free app showcases the top 10 hand-picked hotel deals in each city with the average discount of 28% compared to the best prices online. Crimson Resort & Spa Mactan, Sofitel So Bangkok, ParkRoyal, Crimson Hotel Filinvest Manila, and The Hullett House, are just some of the 5,000+ hand-picked hotels in the region. 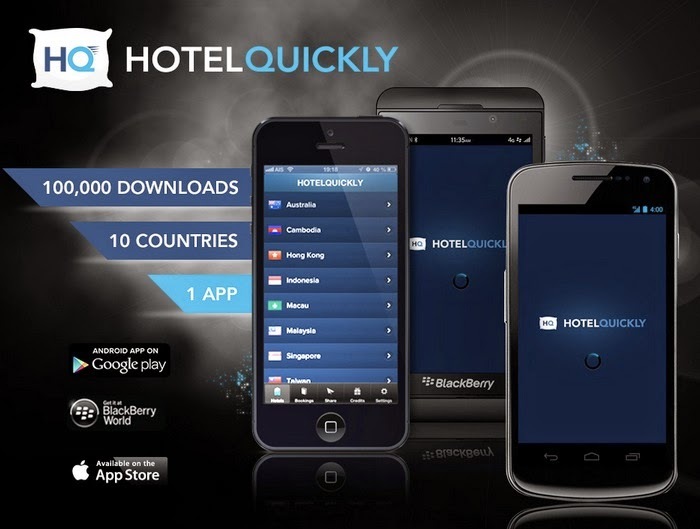 HotelQuickly App is available in nine languages, the innovative app offers rates on average 28% cheaper than any traditional online booking channels via its easy-to-use interface for the spontaneous traveller. HotelQuickly is also looking at new ways to make last-minute travelling easier for their users by continuously working on making their app better. Swiss entrepreneur Christian Mischler pioneered the HotelQuickly app and latered on he partnered with his former classmate Tomas Laboutka which later on became the fledgling company’s CEO, Raphael Cohen the CSO, Mario Peng the CFO, and Michal Juhas the CTO. On March 2013, HotelQuickly was officially born. 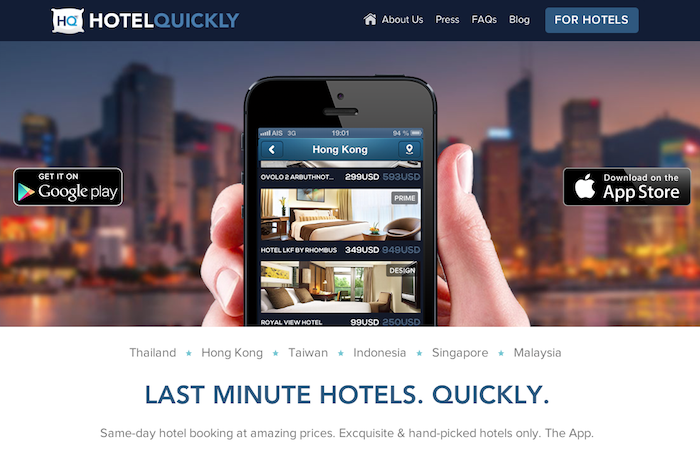 Since launching in six countries in 2013, HotelQuickly has Malaysia, Philippines, Singapore, Australia, Taiwan, and Vietnam. The app is available in more than 200 destinations in 15 countries, with new exciting markets to come.